You may remember our 2018 Buyer’s Guide, a compilation of last year’s best smartphones, tablets and iPads for the field and office. This year, we’re back with an updated guide featuring the latest buying advice to help you choose the best mobile devices for your team. It’s important to view this selection process through the lens of an investment. While some devices may cost more upfront, the time, money and effort saved from using mobile technology renders an impressive ROI. In addition, the life of a quality device significantly outlasts that of other traditional office supplies like paper, pens, manila folders and printer ink. Nowadays, mobile apparatus are generally equipped with loads of extra features like built-in cameras. These add-ons and feature sets eliminate the additional skills and costs associated with tasks like capturing images in the field (and awaiting their arrival to the office). Although we understand the appeal in selecting the cheapest available option, it’s important to choose a device that will function reliably and consistently - so that your workflows do the same. Mobile devices sold at significantly lower price points often lack sufficient storage space and operating systems powerful enough to handle the demands of your organization, leading to longer load times and crashes. Consult the 2019 list of best tablets and smartphones for your business below to determine the ideal mobile device option for your team. 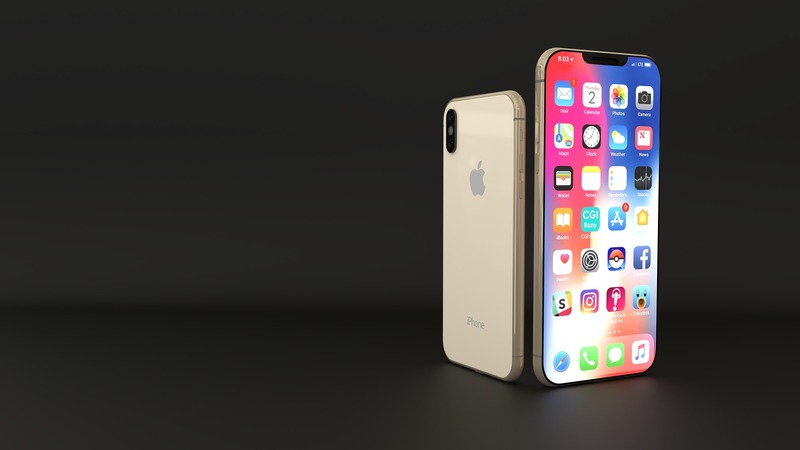 Apple has introduced a new iPhone at a much lower price point, which is great news for companies looking for the quality of Apple products with a more affordable price tag. This latest iPhone comes with the longest battery life known to the iPhone family, making it an even greater deal given its price. The iPhone XR also has the same processing power as the XS and XS Max models, so you can count on matched performance. You can also consider trading in your current device to drive that price down even further. For a limited time, Apple is offering iPhone XR from $449 when you trade in your current iPhone*. Notably faster than its predecessor, the iPhone XS comes with an impressive camera and updated processor. If you want all the power of a newer phone that still fits in the palm of your hand, the iPhone XS is the way to go. If you’re looking for the largest screen ever on an iPhone, look no further than the iPhone XS Max. This latest iPhone comes with its best camera yet thanks to Apple’s new Smart HDR. Capture true-to-life photos that stack up against the highly rated Google Pixel 3 and Samsung Galaxy Note 9. Google’s greatest selling point for the Pixel 3 is without a doubt its camera. This latest model from Google includes a 12.2MP sensor combined with Google's photo optimization software for unparalleled picture taking. Taking photos on the job? Go with the Pixel for its price point and camera alone. Samsung released the new Galaxy Note 9, optimized for heavy usage with its improved battery life for all-day performance. Users can take photos remotely from up to 30 feet away using the Bluetooth S pen, and when you opt for the 512GB model with the 512GB microSD card, you get the largest storage amount (1TB) in any mobile phone on the market. That’s a ton of photographs. The Samsung Galaxy S9 received a slight upgrade in 2018 from its predecessor, the S8. Including an all-new processor, speakers and camera, this phone compares well to iPhone XS, only with a smaller price tag. The newly redesigned iPad Pro comes with more screen and more power than ever before, while still taking home the award for thinnest iPad to date. With the newly added Smart Keyboard Folio and Apple Pencil, this device transforms into the ultimate, computer-like mobile device. You can also consider the larger, 12.9-inch iPad Pro starting at $999. Apple has introduced a new iPad at a much lower price point. Weighing just over a pound, it makes a great choice for workers on the go. Bigger screen, bigger battery. The Samsung Galaxy Tab S4 is the newest and most up-to-date tablet from Samsung. For the everyday Samsung user. The Galaxy Tab S3 serves as an excellent mobile device for Android users that are on the go and don’t require all the bells and whistles in a newer tablet. Get even more information on the best mobile devices for business in full buyer's guide. Make sure your team is equipped for mobile forms data collection.